Superdry men’s Gym Tech pique zip hoodie. Part of the Core range, this hoodie is perfect for wearing to and from the gym, with the ventilation detailing under the arms designed to keep you cool. 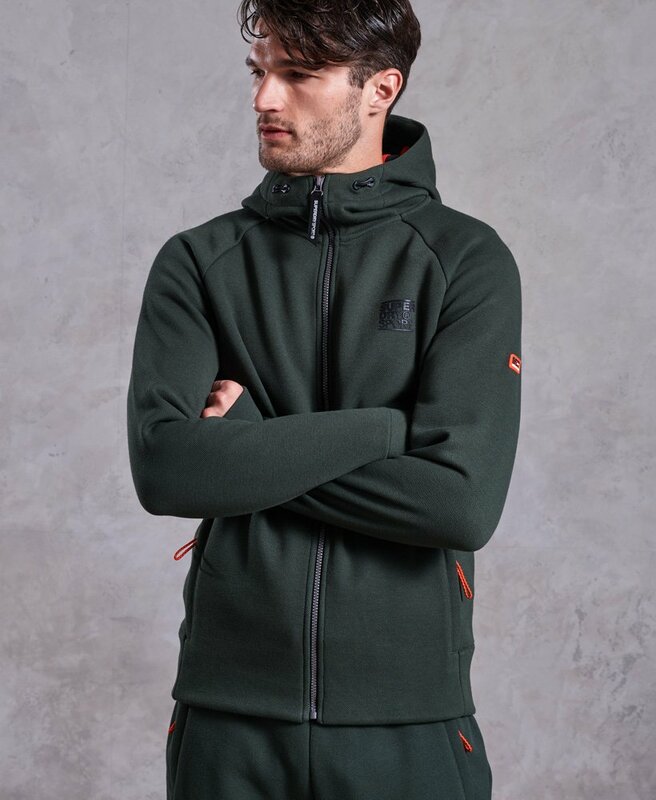 The hoodie features a bungee cord adjustable hood, two zip fastened front pockets and a Superdry Sport logo on the chest. The Gym Tech zip hoodie is finished with thumb holes on the cuffs.